Our retreats include Nature Oriented Performance Training, individual voice and performance coaching, nature walks and quiet time. We also have visiting lecturers from the Áŋŋel (in Finnish Angeli) area who lead us to the culture and story telling tradition of the Sápmi. The prices include full training, full board, accommodation and transportation to and from the Ivalo airport on selected flights (2 persons in a room). We are happy to help you with your travel arrangements. If you would like to meet Sanni prior to your booking, you can schedule a free online consultation or shoot a WhatsApp call at +358 44 513-8321. We love our quiet neighborhood in the North and are thrilled to be able to share our experience with you! 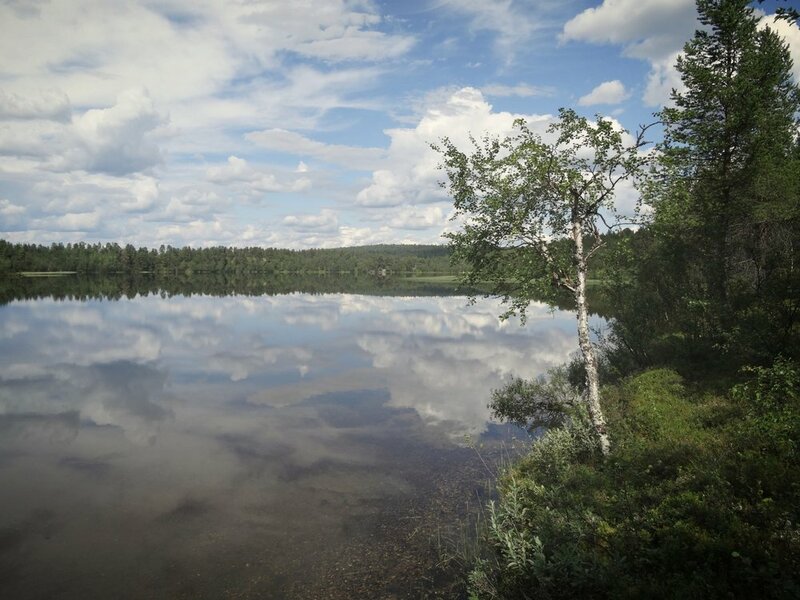 In Sápmi the nature plays an inseparable role in the every day living. Our premises are in the middle of the wilderness area, yet, for the local people the natural landscape is anything but wild. This is the cultural heritage and the place where everyday life is lived. Here we breathe the cleanest air in the world. The sun stays up from the end of the May, June is the season of the nightless night. The snow has just melted and the spring is in the air. 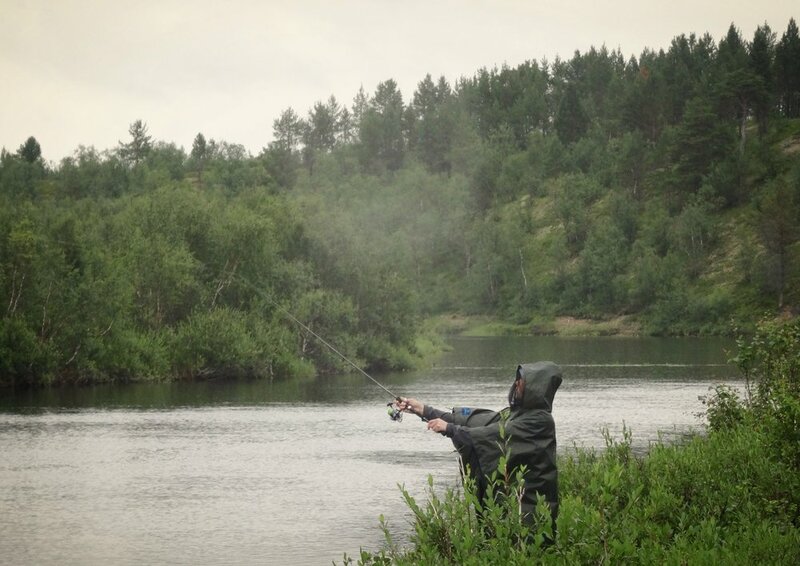 Reindeer calves have born and the fishing season brings fly fishers to the banks of the Deatnu River. Our homebase Vaskon Hiljainen is located near the village of Áŋŋel (in Finnish Angeli). 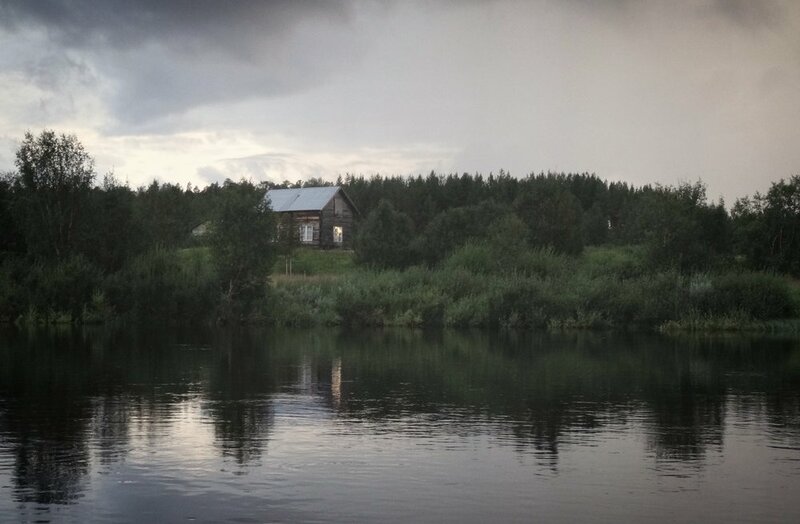 The main building is a modernly equipped house with 3 rooms for two persons, plenty of living area, shared bathroom with sauna and two shared toilets. Next to the main building is also a separate small house with an own kitchen, room for 2 and a private bathroom and toilet. We are in the middle of the Norwegian and Finnish wilderness areas. The closest bus stop, post office, grocery store, restaurant and pharmacy are located in Gáregasnjárga (in Finnish Karigasniemi), which is 50 kilometres away. The centre of Inari is 75 kilometers away, and the closest airport in Ivalo 120 kilometers away. You can arrive by train to Rovaniemi or Oulu and from there by bus to Karigasniemi / Ivalo / Inari, by plane to Ivalo or by car to our premises. Our price includes transportation to and from the Ivalo airport, you can also join the rides from Ivalo or Inari centrum. Transportation to/from Karigasniemi available at an additional fee! Enroll using the link below that will take you to our online booking system. You will be asked to fill in your credit / debit card information as a confirmation of your reservation but your card will not be charged prior to the event. Please don't hesitate to contact us if you have any questions! 8:30-10AM Breakfast, Wrap Up & Good Bye! The program is subject to change according to the needs and wishes of the participants, depending on the weather conditions, part of the workshops will be held outdoors. You can make your reservation using the booking links on this page. We will arrange the retreat if the minimum amount of participants is reached (maximum group size is 8 persons). We will confirm all retreats by April 1 or as soon as the minimum group size is reached. Your participation will be charged upon your arrival either by the card on file or by invoice. Should you need to cancel 30 days prior to the event we will charge a 50% cancellation fee, cancellations 7 days or later are charged 100% fee. How ever you can use your paid fee towards any upcoming event organized by SoundByNature Inc. within the next 6 months. Please make sure that your travel insurance covers your participation.